K. Sheethal Nayak is born and raised in Pondicherry. 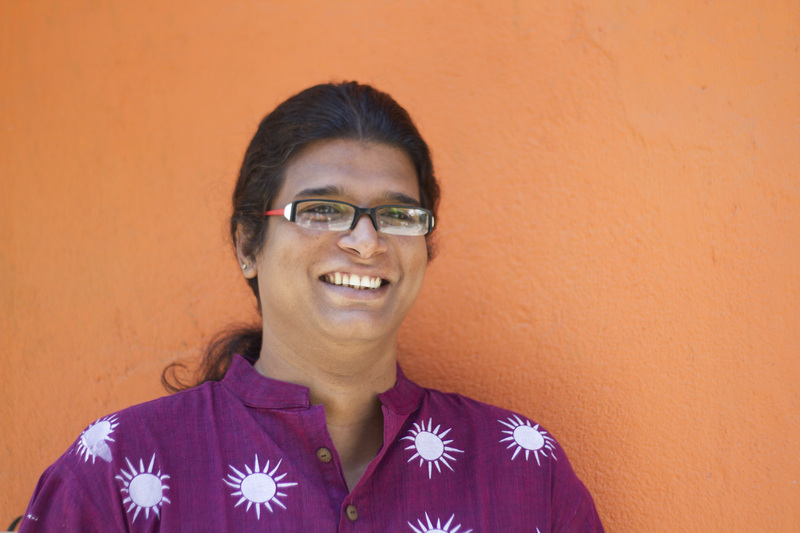 She studied engineering in Goa and it was there she discovered her transgender identity. After her four years of college, she moved back to Pondicherry where she found out that members of the LGBTQ* community were being abused with no one to turn to. This discovery came to her one evening when she and her friends witnessed a man being beaten by two other men. The man was a prostitute and the two assaulters had refused to pay him for the sexual favors they had recieved. This led to a double discovery for Sheethal– there were other homosexual and transgender people in Pondicherry and they were an exposed group with no safety. In 1998 Sheethal started to work with the issue on a grass root level since she felt that the poor LGBTQ*s were more vulnerable than those from the upper- and middle class since they cannot afford to buy security. Sheethal arranged group discussions and get-togethers in safe places with members of the LGBTQ* community since they could not be in public places without being assaulted. After the Indian organization Naz did a survey in Pondicherry, finding out that there were 286 members of the LGBTQ* community that were open with their sexual nature, Sheethal started thinking about creating an NGO. Even though her family and old friends rejected him because of her engagement, SCOHD was created as an official organization in 2003. For the future, Sheethal hopes that the LGBTQ* community will be able to become more open and secure. The most important goal is that the Indian laws will provide safety and equal rights for the LGBTQ* community.